Self-drive independent travelers are welcome to join our tours. Please contact us for more information. 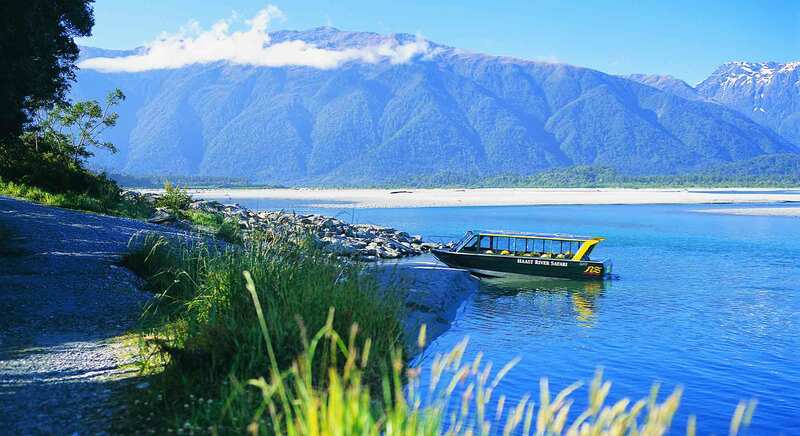 The one hour trip through the mighty Haast River Valley allows passengers to journey into the heart of Te Wahipounamu - the South West World Heritage Area and experience a close-up encounter with this untouched landscape and its remarkable natural features. Passengers are treated to a real kiwi experience on board one of the 4 purpose-built, fully enclosed safari boats. All Driver/Guides have a genuine love of the area and this is reflected in the personalised and informative commentary they provide. 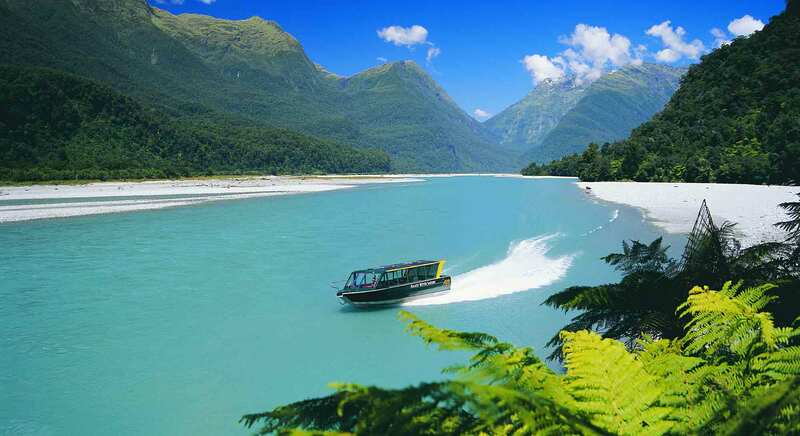 The unique design of the boats, along with the very large catchment of the Haast River allow trips to take place in almost all weathers making it an ideal tour group activity. While the scenic value is terrific on a sunny day, the valley is equally awesome during rain with mist shrouding the forest, waterfalls in full flow and light reflecting the multiple shades of green present in the native bush backdrop. Passengers have a memorable experience while remaining warm, dry and comfortable.